The new WIFI Extension 2.0 is finally available! 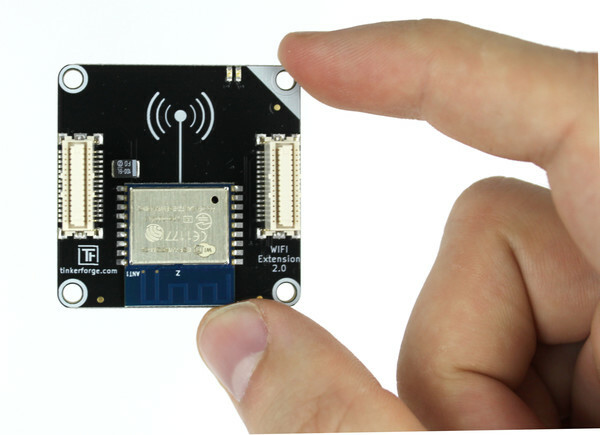 It features the now ubiquitous ESP8266. 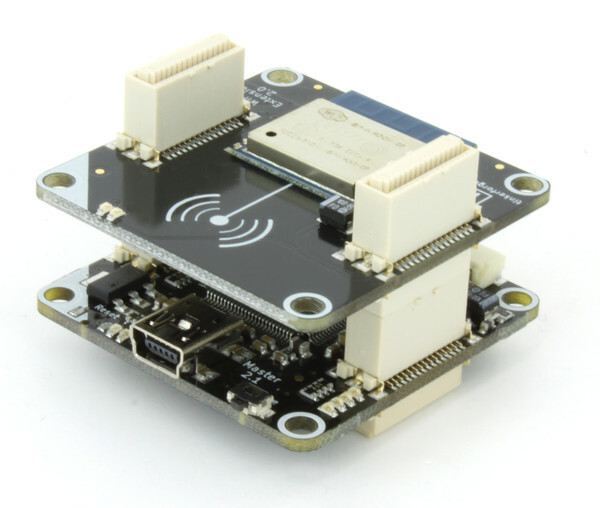 We use the ESP-WROOM-02 module which is FCC/CE compatible. As you can see on GitHub the development for this new Extension started on July 27th 2015. Nearly one year ago, holy moly! Every other property between the two are either equal or very similar (RF output power, etc.). As you can see, the new WIFI Extension 2.0 can replace the old WIFI Extension in all but one feature: You can’t connect an external antenna. We realize that this is necessary for some applications. 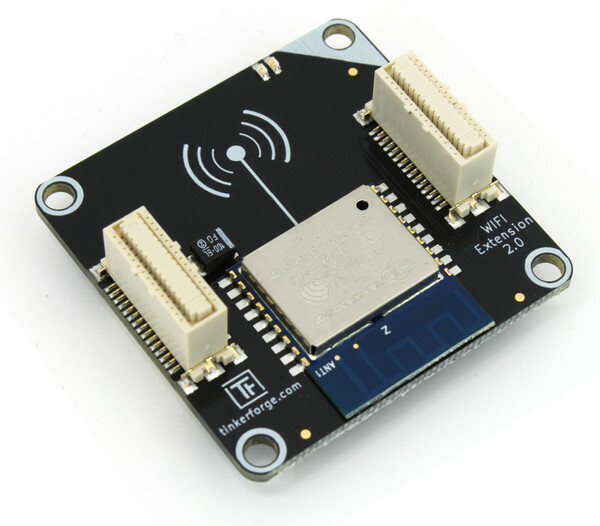 Unfortunately none of the ESP8266 modules with a external antenna connector that are currently available on the market is FCC and CE compatible. As far as we can tell they have neither been tested, nor would they pass a test. This year the Automatica is from 21st to 24th June in Munich. We will present our building blocks at this trade fair for automation and mechatronics for the first time. We are very curious about the feedback. Our booth is in hall A5 stand 139A. You will be able to see applications four our building blocks in the areas of low cost automation and rapid prototyping. As an exhibitor we will have an allocation of free tickets again. If you want to visit us at Automatica, please write an email to info@tinkerforge.com.